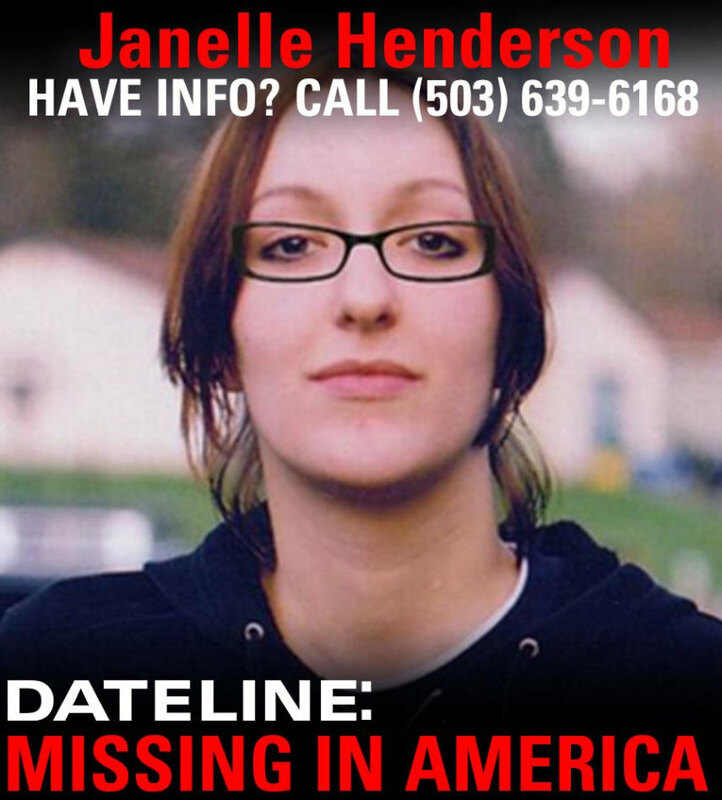 Janelle Henderson, 27, went missing in downtown Portland on April 27, 2014. She was last seen leaving Scandal's Bar alone at 9:30pm PDT. According to her mother, she was anxious to go home to watch a rental of Downton Abbey. 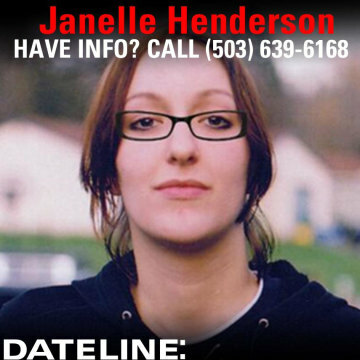 Janelle is 5'9'', has shoulder length brown hair, hazel eyes, and weighs around 135 pounds. A tweet sent by her mother, Carol Riggs, has gained significant traction on social media, with over 12,000 retweets as of Monday, May 12th, 2014. If you have any information, please contact the Tigard Police at 503-639-6168. The case number is 14-202380. Have a story to share with Dateline? Email us at Dateline@nbcuni.com.